“Natten går tunga fjät, runt gård och stuva” (The night steps/spreads heavily, over farms and houses)– that’s the beginning of one of the most famous Lucia song that was sung all over Sweden (and in Swedish homes all over the world) this morning. December 13, early morning, we celebrate Lucia. 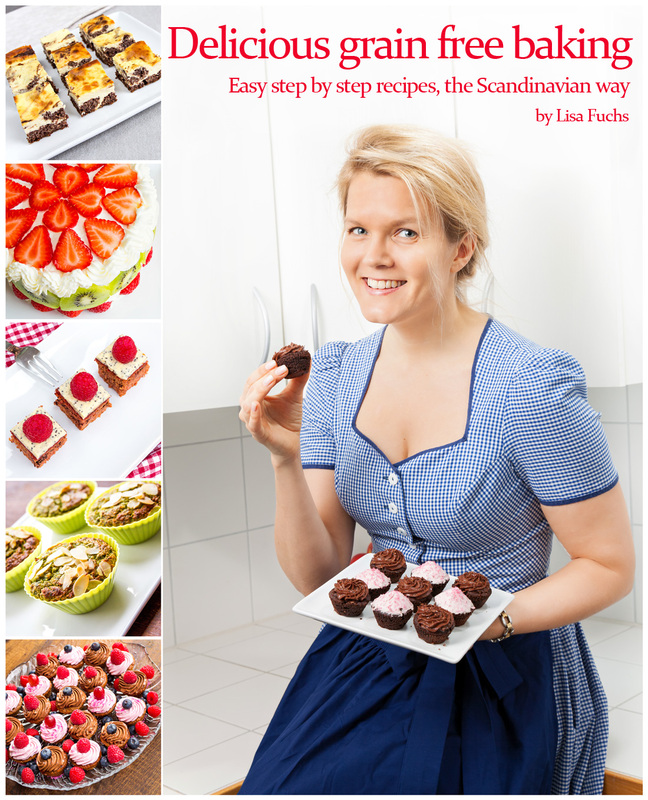 You can read more about Lucia in a post I wrote for CLEW magazine in this link. 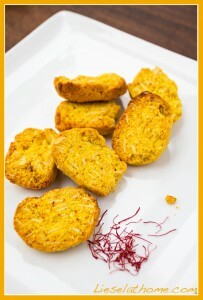 Read on right here to get a recipe for saffron cookies. 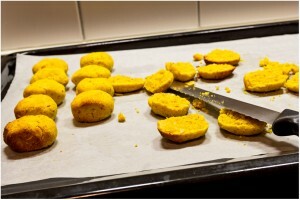 Traditionally in Scandinavia, now is the time to bake Saffransbröd – the buns flavored with saffron. Kind of hard to make on a grain free diet… Last year I came up with a recipe for Saffron muffins and this year I made saffron cookies. You’ll find one recipe for those cookies in the post on CLEW mentioned above, and the other one I’ll give you here. 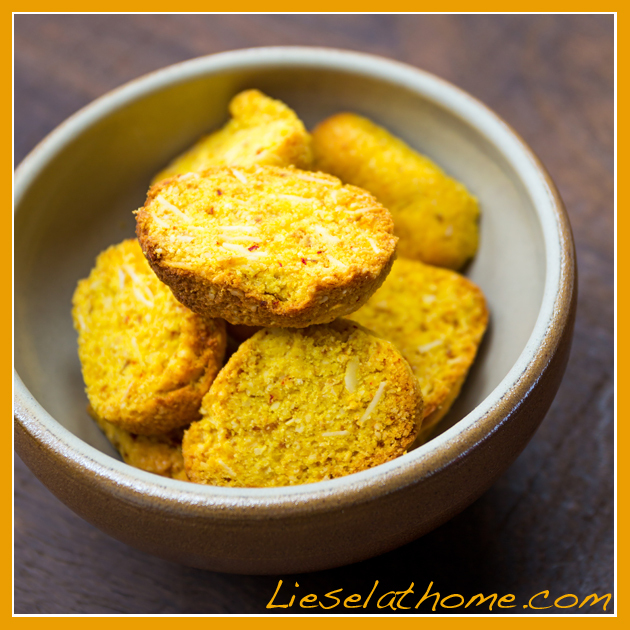 These ones remind me of Swedish “sockerskorpor” a semisweet little biscuit, and the method of baking is similar. Add the dry ingredients to the wet and mix through. 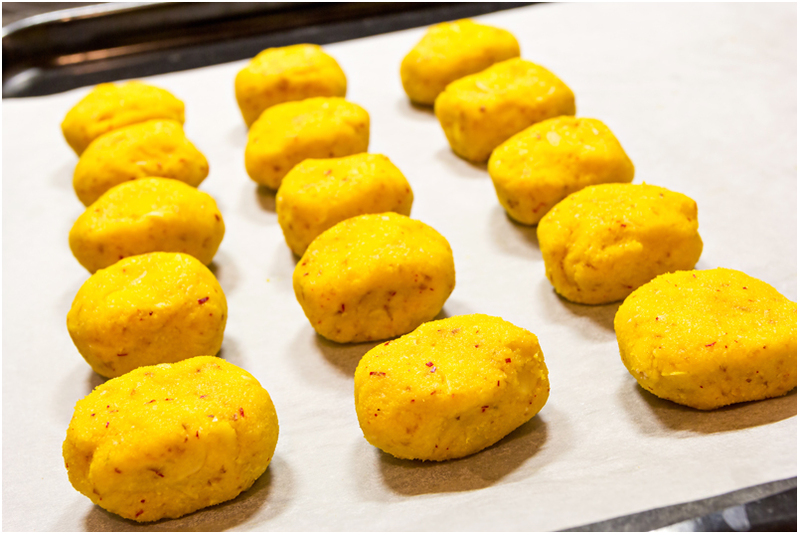 With your hands form about 15 little egg shaped balls – press them slightly flat and place them on a baking tray. See picture! Then take them out and leave to cool down. This is important because if you cut them straight away they will crumble! 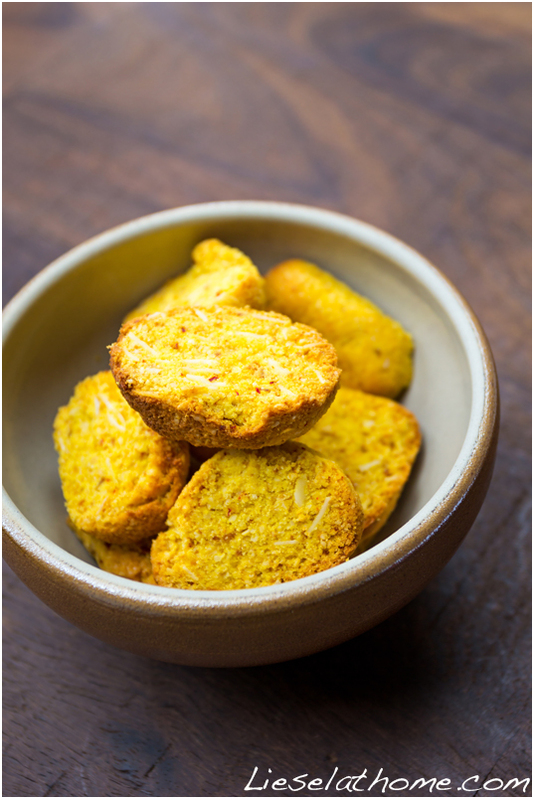 Once cool cut them in halves – this works best with a bread knife – and place them back on the baking tray with the “inside” up. Turn the oven back on to 160 C (320 F), place the cookies inside and set a timer for 15 minutes. After 15 minutes turn oven off and leave the cookies inside with the oven door slightly open (wooden spoon in the crack) to cool down. Enjoy – possibly with a cup of glögg, glühwein or mulled wine.